Real estate buyers are out in full force this month in Naples, Florida. There were about 200 hundred more pending contracts written on Naples real estate in January 2012 than the same month last year. Already in February 2012, Naples is on pace to set new records with over 430 pending sales to date. Those results are readily apparent in Naples, FL now. Many buyers are seeing there first choice in a home vanish before they have a chance to make an offer. Over 1,050 properties have sold this year in the Naples area. In the Naples luxury real estate market, a home in Port Royal sold for $2,700,000 on January 12th, 2012. About 60 homes have sold in the luxury home market ($1 Million or more) this year. Another 125 luxury properties are pending sales scheduled to close in the coming weeks and months. New home sales have also been off the charts this season compared to last. Riverstone Naples has sold 47 new homes in just two weeks! Demand for these new homes has been intense from opening day. Buyers waited in line overnight just to make sure they got the best deals on the lot and home of their choice at the grand opening. Home prices in Riverstone Naples range from $326,900 to just under $600,000. The Carlyle model is the best selling home so far, with 3 bedrooms, 3 and a half baths, a great room, a club room, 3-car garage and 3,051 square feet of living area all on one floor. At $443,900, the price and options included just can’t be beat anywhere in Naples. 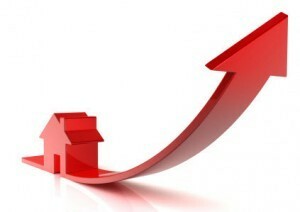 Overall real estate sales in Naples are expected to increase through February into March 2012. Inventory is down, creating more demand and less price reductions. A home that is priced right is going close to, or at listing price, in many situations. Multiple bids on properties are not uncommon now with less available inventory. Stay tuned for more real estate market updates as we move into March and April of 2012. It is amazing that Riverstone has taken off so well. 47 homes in two weeks is impressive. It is so inspiring to hear good things about the real estate market again. Were getting back on track SWFL!